If you crave companionship, but are physically alone, it’s understandable that you would experience loneliness. But, it’s much sadder to be lonely with others around you. Have you ever felt alone even though you were in the company of a group of people? Have you ever felt alone in your own home? Have you ever felt as if your voice is never truly heard? In general, I’m blessed to not feel lonely or invisible. I’m very fortunate that my daughters and grandchildren live nearby. My husband loves me. I belong to a faith community where I’m valued. I have friends who genuinely have care and concern for me. But, even when we know we matter, there are times we can end up feeling invisible. Let me tell you about an experience from a few years ago. I felt like I was prepared for a time, away from home, that I knew would be challenging. I armed (notice the language…”armed”) myself with plenty of reading material and packed comfortable sandals for long walks. I was going to be in a beautiful location, with mostly “nice”, “caring” people, and I carried with me positive thoughts from friends. In spite of all that I ended up feeling very alone. Of course, I could have called one of my friends, or sent an email to someone who loves me, for support. But, I did neither of those. I was so darned exhausted from trying that I simply “shut down”. I flipped the switch and existed instead of lived through those days. Recently, I had a similar (although not nearly as profound) occurrence. I had a meeting, in my home, with a few women to discuss a project we were working on. One of them is someone I only know peripherally. During the hours we were together, she never once addressed me when she was sharing her opinions and, when I spoke, she often interrupted me. It was an “invisible experience” made worse because I felt impotent in my own home—my place of refuge. In 1943, Abraham Maslow published A Theory of Human Motivation, including the, now famous, “Hierarchy of Needs“. After biological and safety needs are met, social needs—love, belonging and affection—come next. We have a strong need to be accepted, valued and validated. When that doesn’t happen, the impact is profound. So, could we banish loneliness? 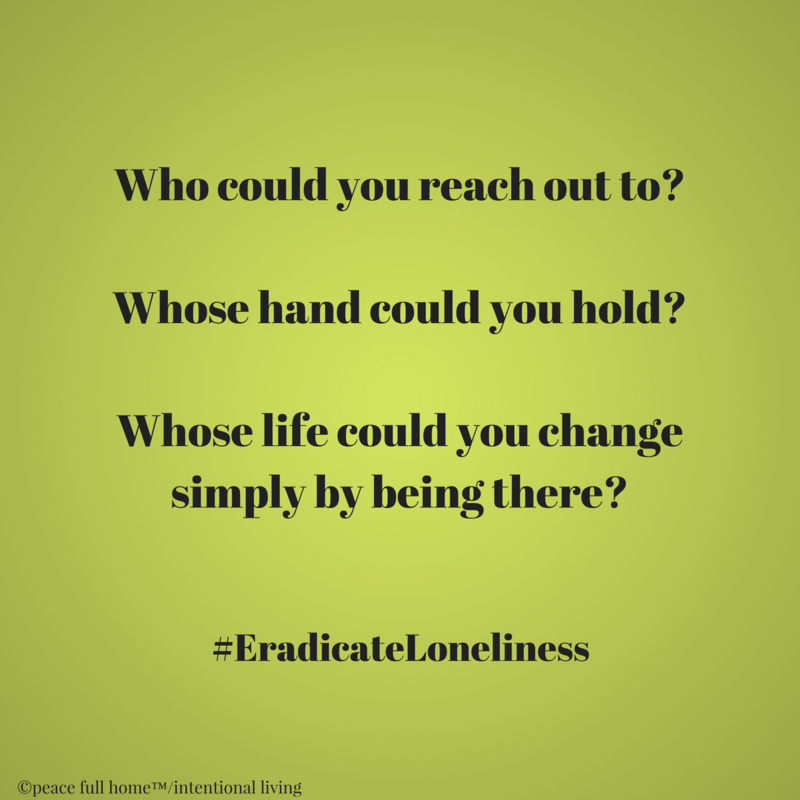 If you live alone, could you reach out to another person who lives alone as well? If you’re lonely, is there a group in your community that you could become part of? If you live with someone (or with more than one person) could you get to know each other? I’m not talking about, “I know that my wife likes to read in the mornings” or “I know what my kids like for dinner”. I’m talking about true conversation where we become known—where there’s more than simple commentary about schedules and responsibilities. Once we’re hurt, it can be easy to get caught in a cycle of shutting down and being unwilling to risk rejection, but we need to try again. It’s intimate and real “connections” that we seek. The awareness that another person truly knows us legitimizes us in a way that gives us confidence and security. If there’s even one hand you can reach for—a hand that wants to hold yours, a hand whose touch says, “you matter”, a hand that let’s you know you’re loved, seek that out. Believe in yourself (I know, sometimes easier said than done). Believe in the beauty of your spirit and of your value in this life, because you really do matter. Sure, there are often times I love being alone. But, like everyone else, I don’t want to ever be invisible again. I wish the same for you. 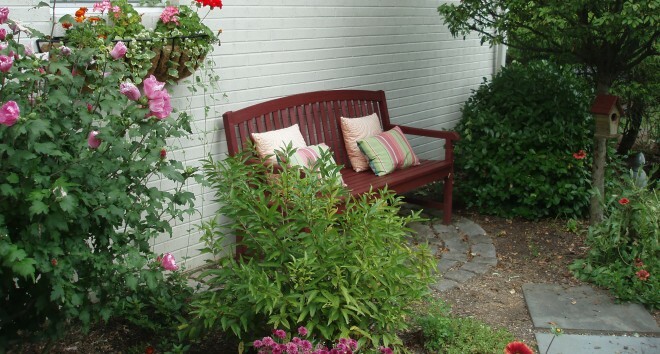 This entry was posted in Living Intentionally, Peace Full Home and tagged community, God In Our Lives, loneliness, Maslow. Bookmark the permalink.